In this bilingual story of faith, Don Jacobo has a dream that, in the end, is a reminder that miracles do happen. Jacobo is teaching his visiting grandson Andrés how to become a santero. Christmas is coming, snow is falling in the village, and the two are working on a carving of San Isidro, the patron saint of farmers. The half-finished carving stands in the living room beside the two oxen and the angel that don Jacobo carved earlier in the month. The snow-covered mountains are beautiful, but the road to the village is impassable. Andrés's parents will not be able to get to the house for the holiday, and Jacobo's neighbor Leopoldo is desperately ill but cannot get to the hospital. Then comes Jacobo's dream; San Isidro is plowing with the two oxen and the angel is helping. "But we don't plow 'til April," don Jacobo muses upon awakening. "What does it mean?" The night had been bitterly cold and don Jacobo must bundle up to go to the barn to feed his cows and chickens. As he steps outside, he can hardly believe his eyes. The snow-packed road is clear. 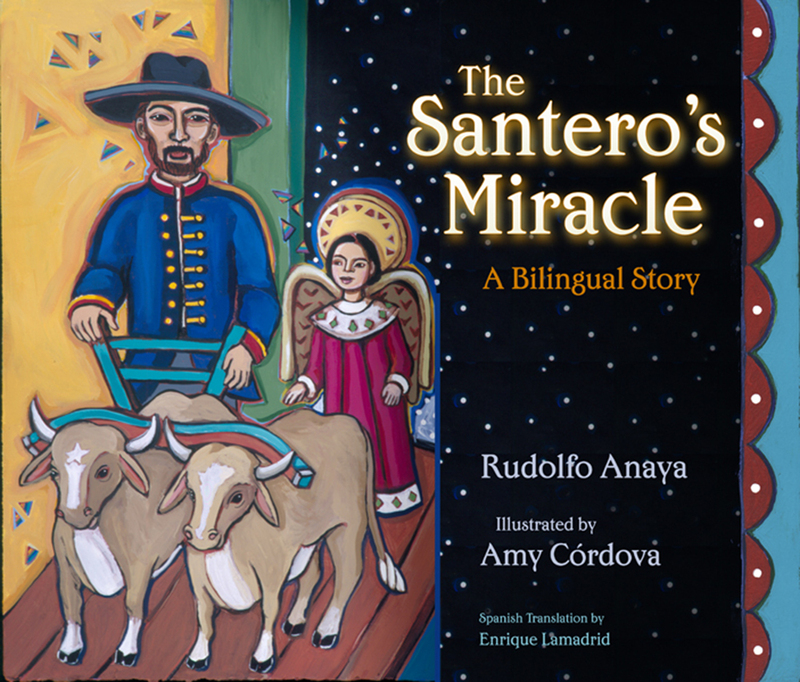 Rudolfo Anaya's story of the power of faith, hope, and love will be enjoyed by readers of all ages.